I realize today is "Something Sweet Wednesday," and a salad doesn't seem to fall in that category. 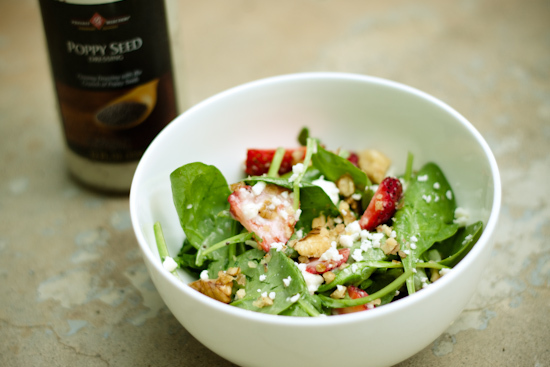 But, I just had to share my favorite summer salad recipe with you! 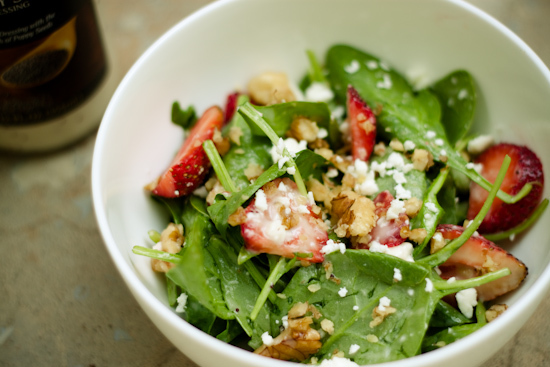 Plus, this salad is definitely on the sweeter side. Summer salads are something I truly enjoy... but for some reason don't get around to making as often as I should. I think its because I hate getting ambitious about making lots of recipes that require more produce then I'm use to...many times I forget what I've bought and then days (maybe even weeks) later, I find all of those yummy fruits and veggies stuffed in the back of the fridge looking a little inedible. I don't mean to sound lazy, but I didn't put together a step by step tutorial this time around. I thought about it and then decided all I would be doing is dumping a few ingredients into a bowl and adding dressing (no need for photographed instructions). Plus, my husband likes to make fun of how detailed my tutorial shots get sometimes because he thinks most of the instruction are self explanatory...like taking shots of pouring chocolate chips to my cookie batter. I like to remind him that sometimes its just fun to take the picture & if it looks cool I'm proud to post it! 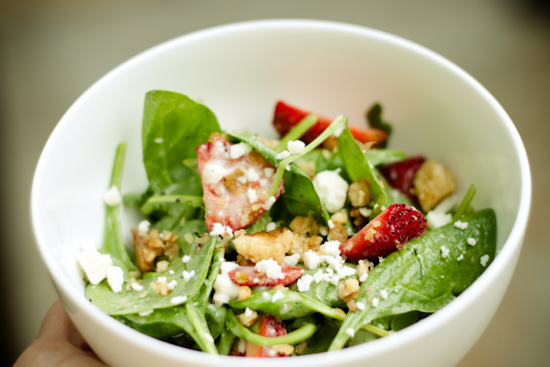 So, what are some of your favorite summer salad recipes? Or do you have a certain meal that you make frequently when the weather is too hot for cooking?...I would love some ideas! Click below to get my very simple recipe! and don't forget about my GIVEAWAY! Place all ingredients into a large bowl. Add dressing as desired and toss until everything is well coated. Thats it! Super simple and SUPER delicious! This is my kind of salad!! Yummmmm!! Pinning this for sure! It def fits into that category! Looks yummy!